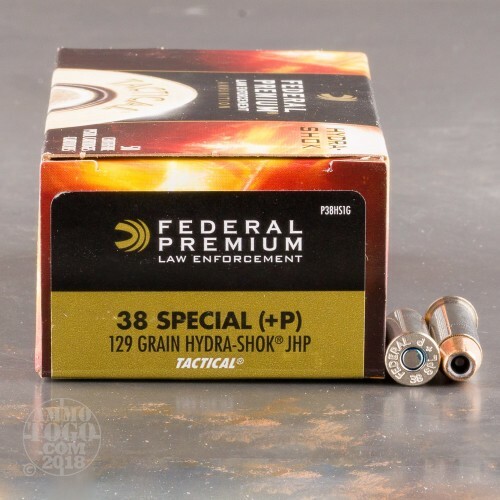 This 38 Special +P cartridge from Federal’s Law Enforcement Tactical line of ammunition features a 129 grain Hydra-Shok projectile. 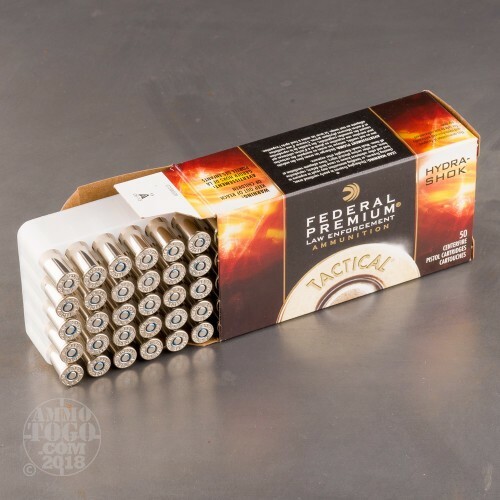 The Hydra-Shok’s defining characteristic is the center post within its tip’s hollow cavity. It serves to prevent the hollow from clogging with clothing during penetration so that fabric can not hamper its ability to expand. This bullet has a non-bonded lead core fitted with a metal jacket, the latter of which sports notches to assure reliable expansion. 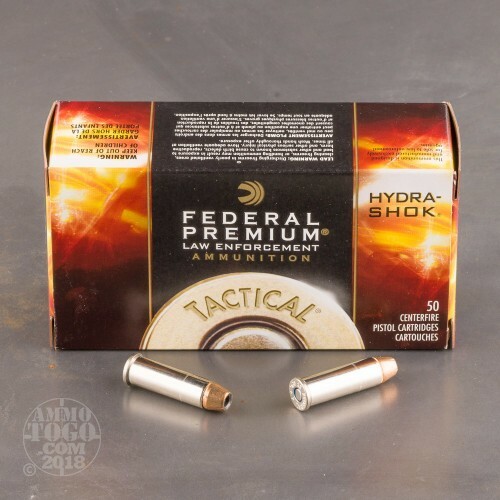 The Hydra-Shok creates an exceptionally wide wound cavity, but a shallow one as well -- that means it’s less inclined to cause the kind of overpenetration which could be disastrous to an innocent bystander. 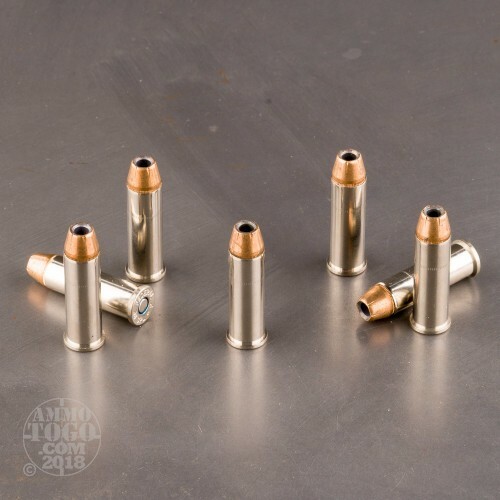 This round’s brass casing is plated with nickel. That not only makes it more visible during an on the fly chamber check in a darkened environment, but further enhances its lubricity for smooth cycling and aids it in resisting corrosion as well.